The Great Humble Hughdini welcomes you! Pure magic, Great fun, Wonder-full. Winner of 7 awards and prizes. 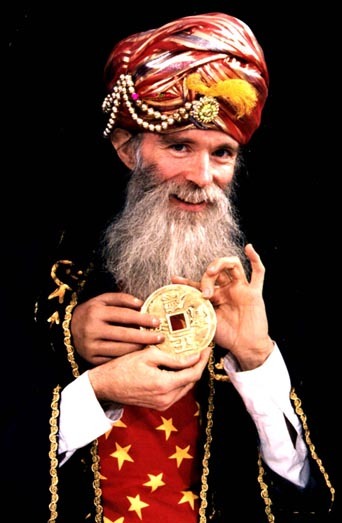 Incredible sleight-of-hand, indelible wit, and a VERY big magic beard! Also known as Professor Mumblemore, he is the brother of Harry Potter's headmaster Albus Dumbledore, the cousin of Willy Wonka, and the great great grandson of Gandalf the Wise. 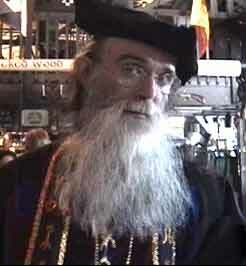 Serving San Francisco and the Peninsula for many years, the Great Humble Hughdini (a.k.a. Professor Mumblemore) has performed for the King and Queen of Malaysia, KRON TV Children Around the Bay, numerous cities and companies, and of course, in many many homes. Hughdini has a big magic beard from which all kinds of marvelous appearances and disappearances occur -- kids are fascinated by the presence of a real live WIZARD! Adults love the humor and the amazing sleight-of-hand. Design a show to your own wishes. Call or email. Helpful feedback is most appreciated!